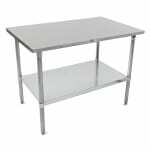 The John Boos commercial stallion flat top work table comes with adjustable legs and a lower shelf and is a durable table for whatever needs that may arise. 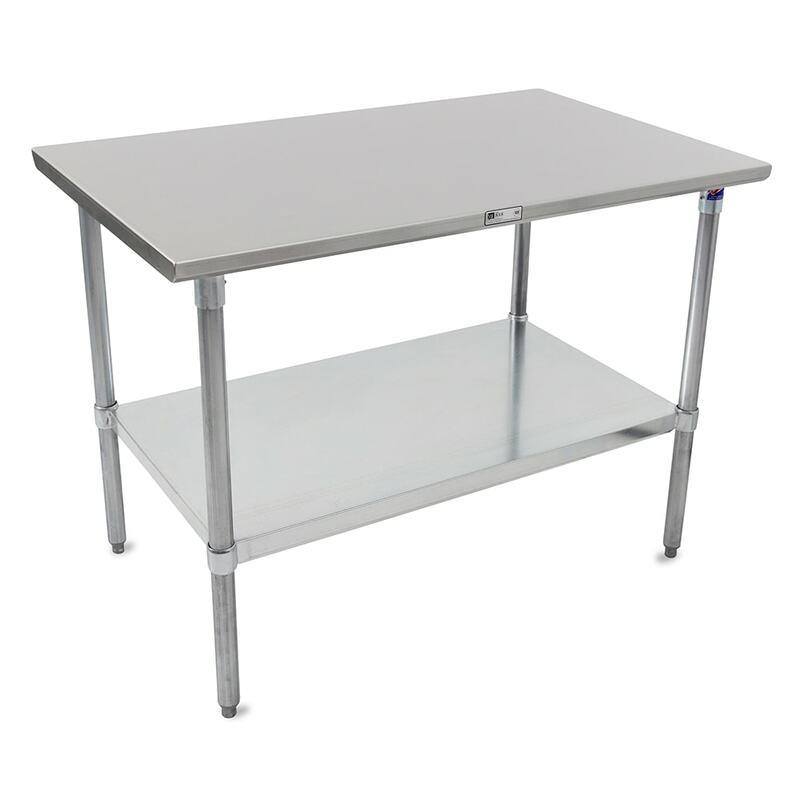 Made from 16 gauge 300 series stainless steel, this commercial work table has a 5 in. high, 1.5 in. deep clip-down riser and straight turndown on the sides. The entire dimensions are 36 in. x 84 in. and also comes with bullet feet. If you have a job that requires a durable, multi-functional work table, than look no further than the John Boos Stallion top work table today! Dimensions of 36 in. x 84 in.